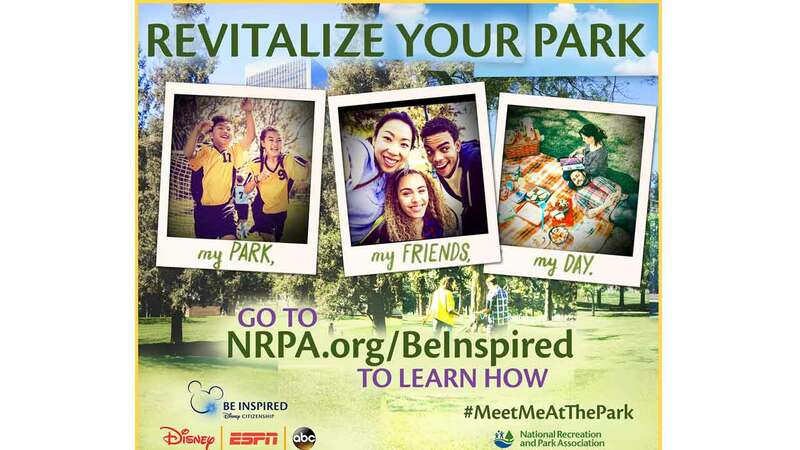 The National Recreation and Park Association (NRPA) is collaborating with The Walt Disney Company, including Disney Citizenship, Disney|ABC Television Group and ESPN, to expand its Parks Build Community initiative that helps revitalize neighborhoods by restoring local parks and park programs. The Parks Build Community campaign, which will run during Earth Month in April, will help improve parks in communities around the U.S. so that kids and families have more access to opportunities to get outdoors, be active and have fun. Park supporters everywhere have two ways to get involved. Throughout April, the public is encouraged to nominate a favorite park, which will be entered for a chance to win $20,000. In addition, the public can vote daily for park projects located in 15 communities across the country. The projects that receive the most votes in each community will receive $20,000 each to help make improvements or expand programs. The public may vote on projects, including everything from community gardens to sports fields in need of repairs to new nature learning areas and more. Voting will take place from April 1 to April 30, 2016 at NRPA.org/BeInspired. "Parks Build Community is about positively impacting lives through the power of parks - something we witnessed first-hand last year and are ecstatic to continue this Earth Month," said Barbara Tulipane, NRPA President and CEO. "This collaboration with The Walt Disney Company is inspiring healthier generations, connecting kids to nature, increasing access to sports and so much more." In addition to voting, the public is encouraged to visit their community parks during Earth Month and experience the benefits parks provide - enjoy a healthy picnic, go for a hike or find a new favorite playground or activity.